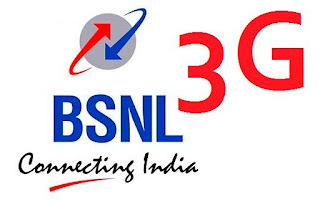 After BSNL India launched 3G for mobile phone , there were , many loopholes found in the system that were exploited by hackers to access free internet on their mobile phones. With this trick you can get Free Unlimited internet surfing on your 3G enabled mobile phone with BSNL 3G connection. I have tried this method on my Nokia 5800 Xpress Music phone. First of all you have to select GSM mode on your mobile. Go to settings then network settings and then select network mode GSM. After that go to your web browser and open any webpage , say m.google.com . After opening any website goto network settings and choose UMTS mode. Thats it. Your 3G net is free now. This trick works for high end symbian phones like 5320, 5800, n95 etc and E series full support. When you enters from GSM to UMTS 1 paisa or 2 paise will be deducted from your account.